Also, congratulations to Mrs. Strand on her 10 years of service to the MPCG FBLA Chapter! 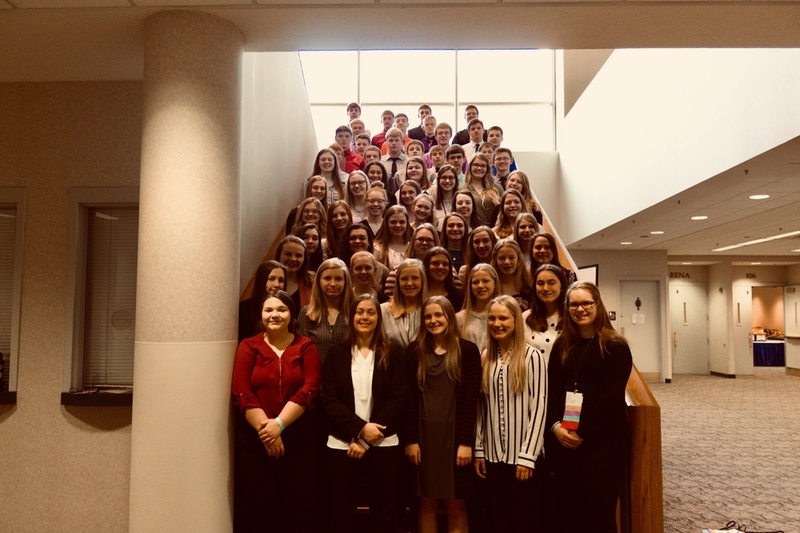 The May-Port CG FBLA Chapter also earned the award for the Largest Local Chapter Membership in the state of North Dakota with 78 members, the North Dakota Go For Gold Award and 3rd Place in the Dorothy L. Travis Outstanding Local Chapter Award. This summer, the National Qualifiers will attend the National Leadership Conference in San Antonio, TX and will compete in their qualifying events to represent the state of North Dakota and the May-Port CG School.